May has been an exciting month with lots of changes and many new works taking place in Leon, Mexico. These changes consist of new coworkers, new contacts, and even a new convert. We are very eager to address the challenges ahead and ask for your prayers as this work begins moving at a much more rapid pace. Since we arrived in Leon, one family of Christians has remained a constant help in our work. Arturo and Marta Franco have shown us their constant commitment to ministry by weekly offering their home to several families for Sunday worship. 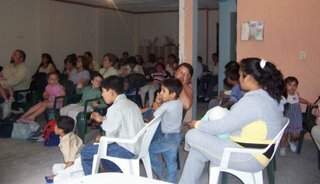 Likewise, this family has assisted us over the last year as we have sought to plant Christ’s church in Leon. In late April, we were surprised to hear that the Franco family had decided to unite with us and begin worshipping with the Leon South congregation. We as a body were eager to accept this family, and those they have been ministering to. Already we have seen many benefits to the unity of these two groups, and hope to see many more blessings in the near future. On May 12th, the 2006 Leon Aim students arrived in Mexico. The journey towards Leon demonstrated a great commitment to God by the six students, and has already begun to bless the local work. It is very encouraging to see the AIM students' youthful spirits and passion for the Lord. Likewise, the Leon missionaries look forward to watching the AIM students grow in ministry. We were very blessed to see another sister added to the body of Christ in mid-May. Marisa demonstrated her commitment to God by accepting Christ’s salvation through baptism. The event was a good reminder of why we are here and what our passion is to always be. Leon is filled with those looking for hope and purpose. Praise God that Marisa discovered that purpose in Jesus! 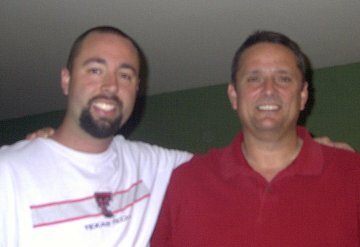 In early May we were blessed with a visit from our brother Daryl Newton of Baytown, Texas. Daryl, an elder from one of our supporting congregations, saw first hand the work, which is taking place in Leon. After the visit together, it was clear that the bond between the Baytown and Leon ministries remains strong. Likewise, the visit reminded us of how blessed we are to have all of our partners in this ministry. Thank you to all of those who assist in this work. We look forward to the possibility of one day showing you first hand what is taking place here. As we reported a few months back, the summer season would be filled with many changes and much work. Now, as summer arrives, we have begun understanding exactly what these changes consist of. Your prayers are crucial in this process and remain a great need of this body. Please continue to bring the Leon work to the Lord as we continue our work here.